The South East Regional Centre for Urban Landcare (SERCUL) was formed in 2003 as an independent community Natural Resource Management body in Perth, Western Australia. 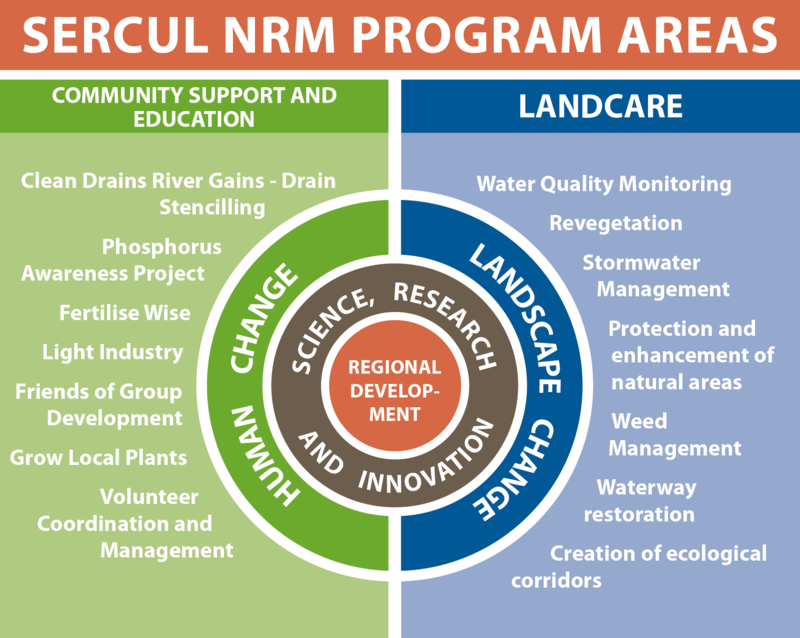 SERCUL brings together the community, Local Governments, businesses, educational institutions and Government agencies to develop and implement projects that improve the health of our waterways and other ecosystems using a strategic and integrated approach. SERCUL operates in the metropolitan and peri-urban areas of the Swan Catchment. The area covered takes in most of the southern and eastern suburbs of Perth and includes Dyarguu (the Canning River), the Southern-Wungong River and parts of Derbarl Yerrigan (the Swan River).